Elizabeth Santiago came to a desperate point in her college career when she decided to quit. In the span of six months, two of the junior psychology major’s family members passed away — and her tightknit relatives were grieving far away in Cape Coral, Florida. 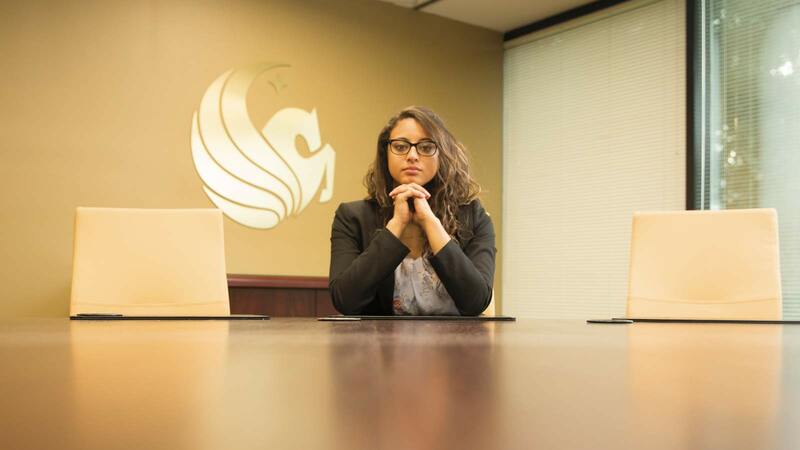 When she mentioned her plan to drop out and move back home, her mentor, Cyndia Muñiz, the assistant director of UCF’s Multicultural Academic and Support Services (MASS), advised her to stay. As the daughter of a single mother who struggled to provide for her family without a college degree, Santiago found thoughtful guidance like this difficult to come by before becoming involved in programs that support first-generation students at UCF, such as MASS. In high school, the lack of a family history in higher education left her with many questions about the college experience, especially with regard to taking the SAT and completing applications on time. Santiago found answers in UCF’s Seizing Opportunities for Achievement and Retention (SOAR) summer program, a six-week academic and engagement workshop that prepares specific freshman groups — such as first-generation students — for the upcoming school year. With the tools she learned through SOAR and continued support from MASS, Santiago joined both the President’s Leadership Council and a sorority, and is on track to graduate and fulfill her dream of becoming a lawyer to help underserved women and families. Jamal Clark immediately felt overwhelmed as hundreds of other students filed into his freshman economics class. A few months earlier, the Orlando native was graduating from Boone High School and deciding to begin his college journey at UCF. But with no family experience to guide him in his educational path, dealing with unexpected challenges such as attracting the attention of a professor in a sea of faces caught the first-generation computer engineering student off guard. 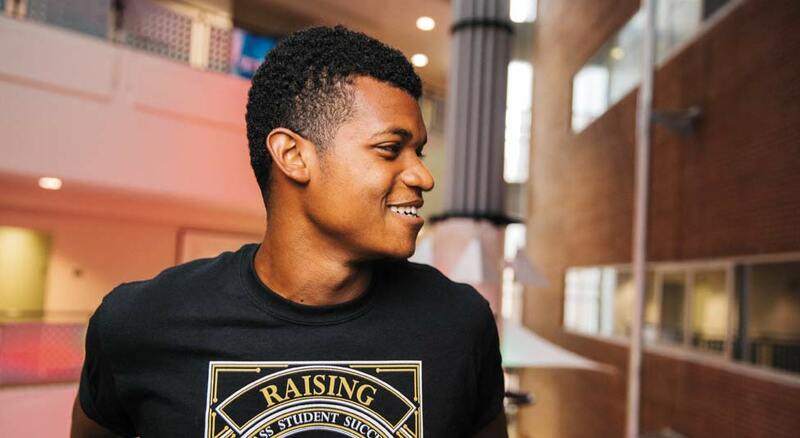 A graduate of the summer SOAR program, Clark found counsel in the MASS program, which eases the transition into college for multicultural as well as first-generation students. 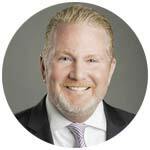 With lessons learned from MASS success and leadership workshops, and the encouragement of its advisers, he started solving problems on his own — even the intimidation problem he encountered early on. To find additional resources, Clark has become involved in the PRIME STEM Project, which offers academic support and other resources to science, technology, engineering or mathematics majors who are first-generation students, demonstrate a financial need or face other challenges. And although he’s still a sophomore, Clark has ambitions to translate his degree into a career with Walt Disney Imagineering or NASA. But it’s the work-study position at MASS where Clark finds his greatest satisfaction, guiding incoming students so that their first UCF experiences can be as smooth as possible. 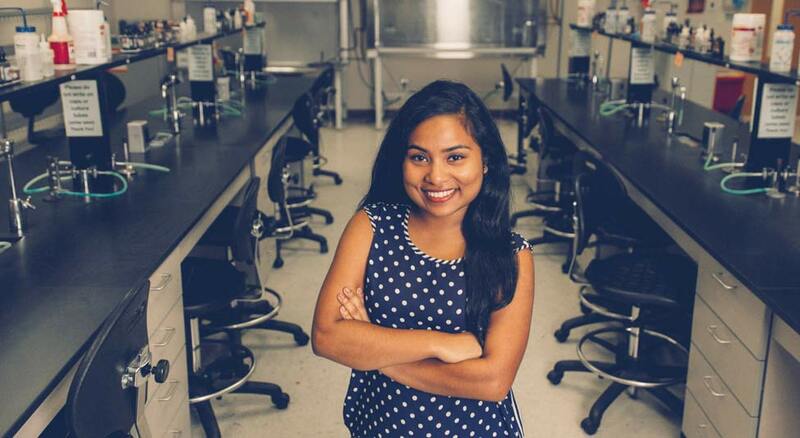 Sruthy Babu began her college career with strict parental expectations — earn a biology degree and go to medical school. The first-generation student had a narrow focus, but little guidance on how to reach that goal. Rather than following her parent’s request to stay close to home and attend a community college, Babu pursued her dream of attending a university and experiencing greater independence. She entered UCF through the SOAR program, developed influential personal relationships at MASS and found additional resources through the First Generation Program, including the First Generation Student Scholarship, which offered key benefits beyond important financial assistance. The workshops gave Babu new confidence to explore her interests and get involved with campus activities. She’s become a resident assistant, is active with the student organization International Medical Outreach and joined a Bollywood fusion dance team called Knights Kangna. And although the double major in biomedical sciences and biotechnology still intends to go to medical school, the chance to participate in research as an undergraduate has opened her eyes to new career possibilities. “I just started working in a microbiology lab, and I’ve discovered there are so many other opportunities [in this field],” she says. “You can go into research, you can be a teacher, or go on to [get a] Ph.D. and be a professor. I’m still interested in going to medical school, but there are so many other options. UCF president John Hitt knows firsthand the transformational effects of a higher education. As the first person in his family to go to college, he experienced challenges similar to those first-generation students face today. And he also achieved many of the same life-changing benefits. “My dad insisted I go to college — it was one of his personal goals for me. 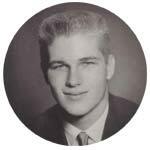 He knew that the real career opportunities were more likely to go to people with a college education, even in the 1950s. I don’t think he knew a whole lot about what a college education would be — I know I didn’t. There were a lot of things I didn’t know about, and I think that’s common among first-generation students. Students whose families are college graduates have been on campuses before. They know a lot more about how things are going to happen. [Being a first-generation student] means that you may have a little more anxiety about success and maybe have to work a little harder. “So many people are born into a situation where they’re limited in what they can even hope to do by their ability to get a higher education. I know what it meant to me to have that world opened up. I wouldn’t have known what to even aspire to had it not been for higher education. “For many students, access means financial assistance to afford a higher education. For others, it means overcoming a distance problem or a timing problem or a scheduling problem, so access turns out to mean practical availability. Access is extremely important if we’re going to use the power of higher education to transform lives. This university is an asset for everybody. It’s for the whole community, and we’re going to do our best to reach out and make it truly possible for students of all backgrounds to come here and be successful. “First-generation students are real assets to a campus. They’ve got a special energy. If you look and see the potential of how good these kids can really be, you’ll understand that it behooves us to try to create situations where these students get the recognition and encouragement that they need to help them understand that if they are willing to work for it, there are great careers out there for them. But they’ve got to do the things that get them there, and they’ve got to be willing to work really hard. Support First-Generation Students at UCF. Your gift will be matched dollar for dollar by the state of Florida. Students from high-income families are seven times more likely to get a college degree than students from low-income families. For the first time in U.S. history, young adults are less educated than their parents. By 2018, 63 percent of all U.S. jobs will require postsecondary education — 22 million more college-educated workers than we have presently. U.S. higher education is on track to produce 19 million graduates by 2018, a shortage of 3 million highly educated workers based on national workforce needs. By 2025 that gap will grow to 16 million. There are nearly 700 public universities in the U.S., enrolling almost 7 million undergraduates. In 2008, management consulting firm McKinsey & Company reported that the education achievement gap cost the U.S. between $1.3 trillion and $2.3 trillion in lost gross domestic product. The poverty rate for Americans age 25 and older with no college degree (14.8 percent) is more than three times higher than the rate for those with at least a bachelor’s degree (4.3 percent). With forward-thinking programs, UCF Student Development and Enrollment Services (SDES) empowers first-generation students to succeed through access, mentoring and scholarships. The effort that begins as a focus on increasing access to a higher education for these underserved students transitions when they arrive on campus. The structured curricula is designed to give them the tools they need to prosper, along with the personal attention of knowledgeable mentors to guide them through the process. These opportunities offer first-generation students the knowledge, skills and assistance they need to reach their potential. The six-week Seizing Opportunities for Achievement and Retention summer program gives incoming freshmen who demonstrate an academic need a head start on their first year of college with advising, tutoring and courses focused on building core scholastic skills. Students, who are invited to participate by Undergraduate Admissions, begin with an orientation introducing them to the rigors and responsibilities of college life and continue with seminars and workshops that take place throughout the year. This program helps first-generation students transition to college life by creating an academic home at Multicultural Academic and Support Services. Services offered include a personal academic adviser; networking events with faculty, staff and Central Florida professionals; and workshops covering financial aid, leadership, internships, graduate school and other important opportunities. The program also includes the First Generation Student Scholarship, an endowed grant that benefits undergraduates who participate in a series of workshops and other success-related activities. Many first-generation students enter the university through DirectConnect to UCF, which guarantees admission to UCF with a two-year degree from six regional partner colleges, including the College of Central Florida, Daytona State College, Eastern Florida State College, Lake-Sumter State College, Seminole State College and Valencia College. The program, which is entering its 10th year, includes a streamlined admission process and personalized advising to help transfer students acclimate to university life with guidance on financial aid, student services and more. There are currently 13,957 first-generation students enrolled at UCF — 25.5 percent of the total 54,815 undergraduates. Since the 2004–05 academic year, 28,007 first-generation students have earned bachelor’s degrees at UCF. UCF Foundation CEO Mike Morsberger is a first-generation student. I understand the challenge of going to college without traditional family support or encouragement. I’m the first in my family to go, and although my parents were committed to our education, they’d never filled out a college application and didn’t know how to start the financial aid process or study for the SAT. Thankfully, there were good counselors and friends that encouraged me. Today both my sister and I have earned master’s degrees. It’s not only given me the opportunity to grow in a career but also to provide for my family and to create a path for my children. My oldest daughter has now graduated from college, and my youngest daughter is a junior. And I like to think that their children will go to college as well. When I arrived at UCF in June, I was so inspired by the university’s history of commitment to first- generation students that one of my very first acts was to pledge $25,000 to create a first-generation endowed scholarship. It’s something my wife and I both feel great about, and the fact that the state of Florida matches every dollar is super. For students who benefit from these scholarships, I hope there’s recognition on their part that somebody out there believes in their future. And when they become successful in life, I hope they’re compelled as a member of the UCF Knight family to give back. We’re continuing to build a culture of philanthropy at UCF. I think the perception is that state and federal financial aid meets all of a student’s needs. Unfortunately, it’s untrue. In fact, philanthropy has increasingly become the last line of revenue a university has to take care of its students, encourage its faculty and really aspire to great things. Every gift makes a difference. And in the case of first-generation scholarships, each dollar goes a long, long way.